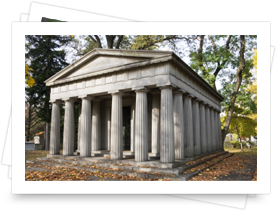 We invite you to explore the beautiful cemeteries and memorial parks our community has to offer. 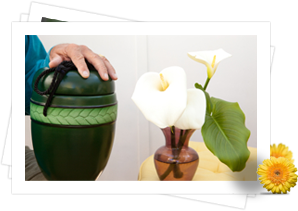 Our funeral directors are available to understand your needs and concerns, answer your questions and provide you with all of the information you'll need to make an informed decision about your loved one's final resting place. Contact us to connect with our staff and request more information about your options. When it comes to a traditional in-ground burial, your family can choose one of our estate lots, a multiple space lot, or a single space grave. 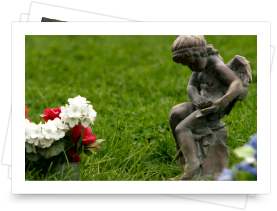 We'll walk you through various cemetery options, and assist you in finding an area that fits your needs, budget, and personal preferences.